Sector 26 is one of the premium localities in Gurgaon and has a number of residential and commercial projects in the area. Property in Sector 26 Gurgaon has seen excellent demand due to its excellent infrastructure. 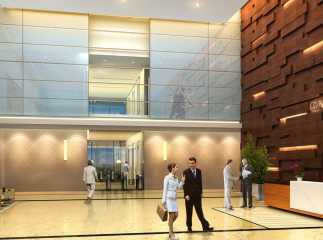 A number of leading developers have launched residential and commercial property in Sector 26 Gurgaon . Construction Status in Sector 26 Gurgaon- there is a number of ready as well as under construction projects in sector 26 Gurgaon. Emaar Capital Tower 1 is a ready to move apartments in sector 26 Gurgaon . It is a state of the art iconic tower that has a unique architectural character. The project has large and efficient open space plans with centrally located core. It has dedicated lift lobbies for passengers and services. The project has integrated green building standards with high performance glazing and environmental control systems. The price of the project starts at INR 2.2 crores.